I've had a few people asking me questions recently about Flash and his mixed breed heritage so I thought it might be worth writing about him a bit more. 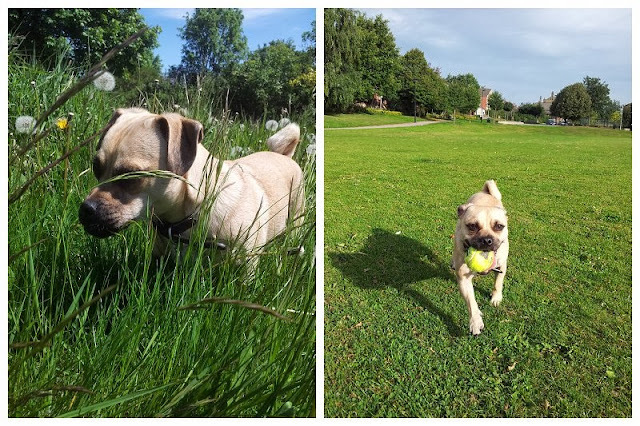 For those of you who haven't followed his story from the start, Flash is our Jack Russell x Pug. He's nearly 2 years old now, but we met him at 4 weeks old and he came to us at 8 weeks when he was just 1kg. You can see an over sharing of images of him here. 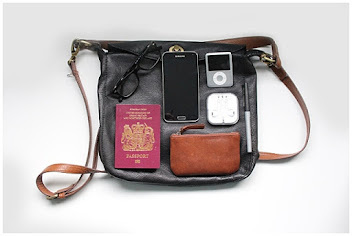 The main question people as us is why did you choose a Jug and not a Pug? And the simple answer to this is their health and cost. Jim desperately wanted a Pug - one of our friends has them and they stole his heart but we really didn't have £1000 to spend on a puppy (although we probably would have at the time if we'd fallen in love.) And I wanted to make sure we had a dog that could go on long walks and wouldn't overheat too badly when we're out sailing. So sure and I started looking about for alternative puppies. 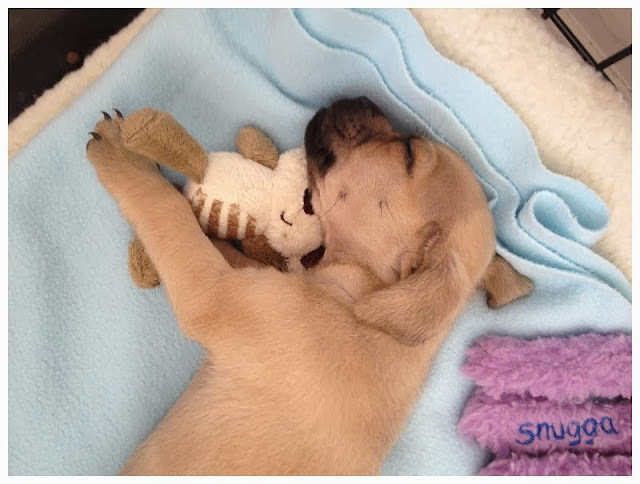 Then I heard about Puggles ( Pug x Beagles) and my heart melted. But in Sheffield we struggled to find any F1 Puggles. After some more searching we came across Jug's (but I hate that word) and we both decided that was the mix for us. Flash was in the third litter we saw (do not get me started on some of the dodgy places we went before we met him). We met his mum and dad and brothers and sisters and stayed about an hour playing with the 4 week old puppies, we like to think he chose us as we both left the house and agreed instantly on him. And now he's a bit more grown up, I kind of think he looks like Pugs used to. 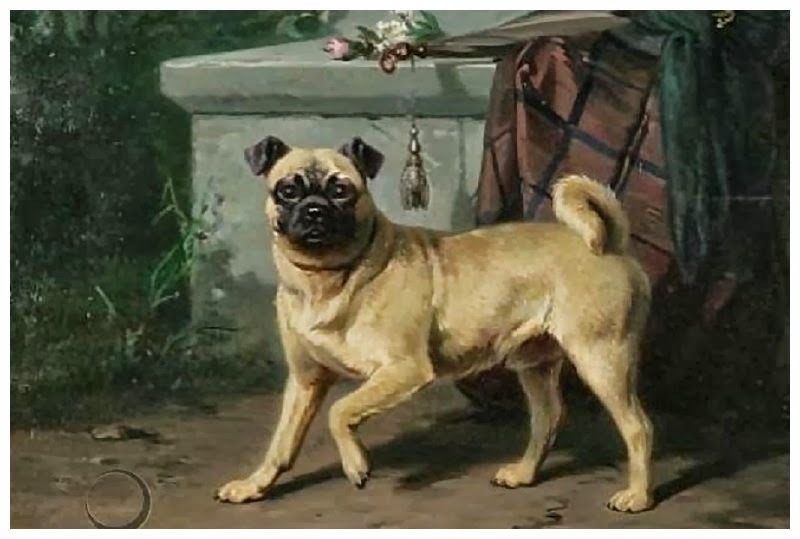 Check out this 18th century Pug. 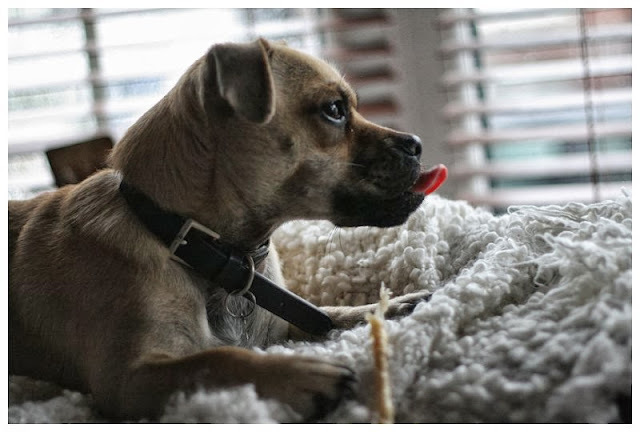 So, is he more Pug or Jack Russell? We'll, he thought he was all JR but with the colouring and tail of a Pug, but seeing this Gemma Correll sketch, I think he might have more pug in him than we thought. His feet definitely smell like popcorn and his tail is doughnutty! We also get asked a lot about his temperament. I read somewhere that Pug and JR's are amongst the naughtiest types of dogs. I read this after we'd got him and had discovered his love for eating pants. I think the study might have been true. But he's not naughty in a bad way. More mischievous, like that kid at school that just did stuff to make people laugh. He is incredibly strong willed. He's too clever for his own good sometimes. But also very very dumb. But he learns pretty quickly. It didn't take long for him to get sit and paw. But getting him to listen to you when you really need him to is a different matter. He's also great with kids. The neighbours kids are so rough with him but he just licks them. And people always want to know how active he is. In a lot of ways he's very terrier in his activity levels. He'll run for hours if you let him. Especially if there is a ball. We can have been out for 2 hours but if he spies a ball when we get home he still wants to play. But once he's had enough he'll let you know. If we're in the park 'ball wanging' and he's done, you know it because he slinks back to you and just sits down. But on the other end of the spectrum, he is a massive cuddler - he will curl up with you on the sofa with you all day long, especially if it's raining outside. What are his favourite things? Eating floor food, chasing balls, sniffing other dogs bums, cuddling, 'opening' the post, pulling the stuffing out of toys, sleeping, treats, cuddling, tug of war - with anything and everything, making us laugh, going to the pub, shouting at passers by from the back of the sofa, cuddling some more, hair dressing, giving out serious stink eye, doing the thriller dance in his sleep, eating salad, licking, inappropriately climbing on people and chasing pigeons. Oh my gosh, he is so adorable! You could never post too often about this little guy, look at his face!! haha 'look at his face'is the phrase we say the most in our house. 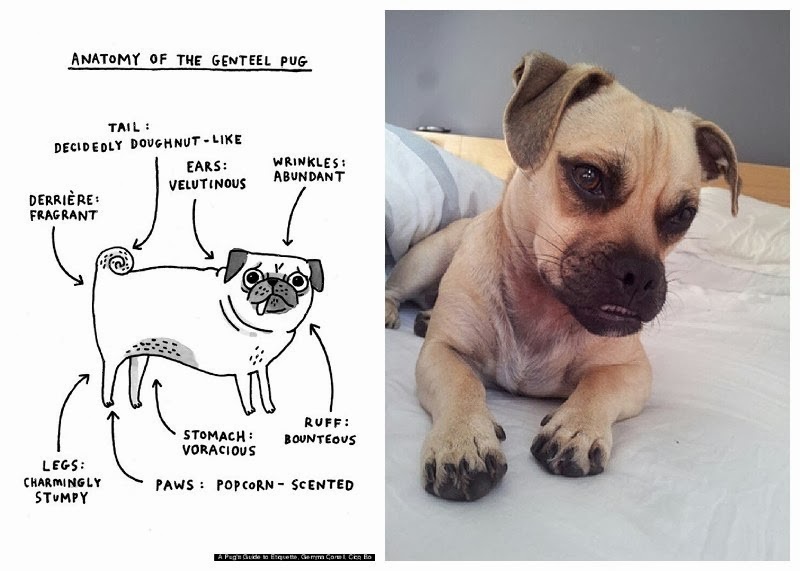 OMG this post helped my partner and I we adopted a pug mix a few years ago and have always wondered what she was. 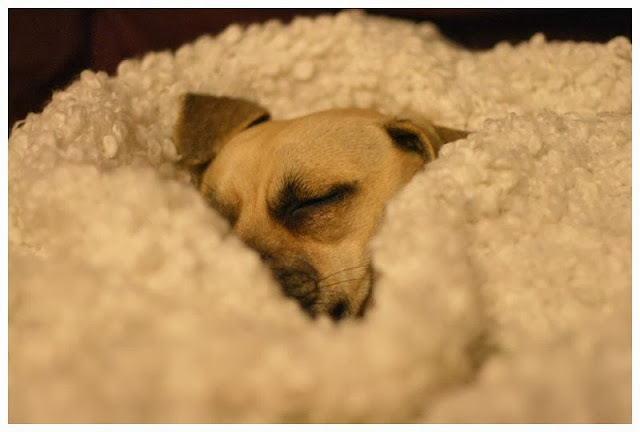 We thought about JR because of the jumping when we first got her but always assumed them to be smaller yappy dogs - and she is nothing liek that. She looks EXACTLY like the Genteel Pug 18th century picture you have and looks very similar to the pics of your dog. But the things you described with the ball is spot on. We can not get her away from a ball - it is in her blood. And she cuddles all day when we are inside if there is no toy around. Anywho I think this confirms out Jug consideration.